Plant stem cell research is of interest due to stem cells ability of unlimited division, therapeutic potential and steady supply to provide precursor cells. Their isolation and culture provides the important source for the production of homogenous lines of active constituents that allow large-scale production of various metabolites. The process of dedifferentiation and reversal to pluripotent cells involves the various pathways genes related to the stem cells and are associated to each other for maintaining a specific niche. Domains such as niche dynamics and maintenance signaling can be used for the identification of genes for stem cell niche. Significant findings have been achieved in the past on plant stem cells however our understanding towards mechanisms underlying some specific phenomenon like dedifferentiation, regulation, niche dynamics is still in infancy. 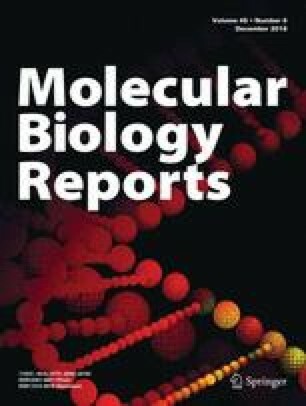 The present review is based on the past research efforts and also pave a way forward for the future anticipation in the field of development of cell cultures for the production of active metabolites on large scale and undertanding transcriptional regulation of stem cell genes involved in niche signaling. A correction to this article is available online at https://doi.org/10.1007/s11033-018-4393-3. The authors acknowledge the Council of Scientific and Industrial Research (CSIR), Government of India, under the project “Physiological, biochemical and molecular analysis of economically important plants for understanding and exploiting their growth, adaptation and metabolic mechanisms (MLP-0071)” for financial support. The authors are thankful to Director, CSIR-IHBT for providing necessary facilities. ARW—Conceived the concept, ARW & AS—Framed the design, ARW, KT & AS—Manuscript written and edition. All authors read and approved the final manuscript. Review article in accordance with ethical standard of institution.